The recent eruptions of the Kilauea volcano in Hawaii (USA) and the Volcán de Fuego (Volcano of Fire) in Guatemala have been the latest reminders that we live on a geologically active planet. They are also two examples showing that the risk represented by these episodes can vary enormously, not only because of the characteristics of each eruption, but also because of the vulnerability of the local population and the response capacity of the authorities. But undoubtedly, one of the most worrying factors about future eruptions is the fact that millions of people live in areas potentially threatened by active volcanoes. Although it is impossible to anticipate where the next eruption will occur, these are currently some of the most dangerous volcanoes on the planet. The only active volcano in continental Europe was the protagonist of one of the best-known eruptions in history, which in the year 79 destroyed the Roman cities of Pompeii and Herculaneum, along with other settlements. Today up to six million people live in the city of Naples and its surrounding areas, and every year countless visitors come to contemplate the vestiges of the historic disaster. Together with the nearby caldera of the Phlegraean Fields—partially submerged in the sea—and other volcanoes in the region, Vesuvius is the result of the collision of the African and Eurasian tectonic plates. Its eruptions have been very numerous in recent centuries and of particular violence because they are of the Plinian type, which throw dense columns of gas, ash and rock into the stratosphere. 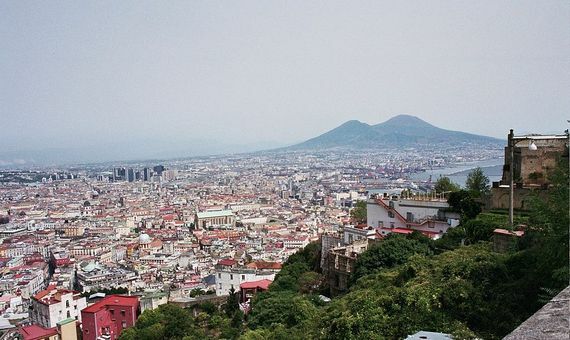 Although experts often point out that a new Vesuvian catastrophe—the last eruption was in 1944—could turn Naples into a second Pompeii, they also estimate that prior warnings in the form of earthquakes would permit an early evacuation. About 50 kilometres from Manila, the capital of the Philippines, is the picturesque caldera of Taal, occupied by a lake with an island in its interior. Beneath this peaceful facade is a volcano composed of several foci that since 1572 have erupted on 33 occasions, the last one in 1977. The volcano is ranked as a level six (or “colossal”) eruption in the Volcanic Explosivity Index (VEI), an open scale that in historical times has reached a maximum of seven. 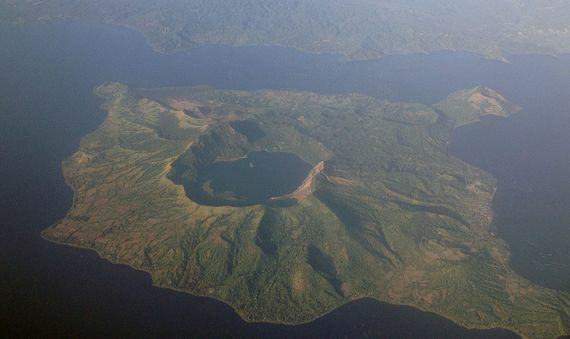 The Taal volcano is closely monitored by the Philippine authorities since a large-scale eruption could affect more than twelve million people in the metropolitan area of ​​Manila. On August 27, 1883, four huge explosions—which could be heard up to 5,000 kilometres away—destroyed almost three quarters of the archipelago of Krakatoa (or Krakatau) in what is now Indonesia. The tsunamis generated by the blast cost the lives of more than 36,000 people. The eruption of Krakatoa released a quantity of energy 13,000 times greater than the atomic bomb of Hiroshima. In 1927, volcanic activity created a new island, Anak Krakatau (Son of Krakatoa), which grows at an average of almost seven metres a year. Since 1994 it has been in an eruptive phase, worsening in 2007, with the latest warning to date coming in February 2017. It is still unclear if a cataclysm such as that of 1883 could be repeated, but the location of Krakatoa between Java and Sumatra, islands with a combined population of almost 200 million inhabitants, suggests that the effects of a new large tsunami would be devastating. With no need to look as far as Krakatoa, the inhabitants of Java have another, closer threat with the Merapi volcano, located in the centre of the island. Considered the most active volcano in Indonesia, it has been erupting almost continuously since the sixteenth century, with the most recent episode in May 2018. The activity of the volcano keeps the more than three million inhabitants of the nearby city of Yogyakarta and its surroundings in a constant state of alertness, but those who have more reason for concern are the thousands of villagers living on its slopes, especially due to Merapi’s notable habit of erupting with pyroclastic flows, avalanches of burning gas and volcanic material that sweep down the hillsides at hundreds of kilometres per hour. The most active volcano in Mexico is usually on the list of volcanologists’ main worries for two particular reasons: its regular activity, which began to manifest itself again in 1994 (after almost half a century of silence) and since which there have been frequent explosions; and the scant 70 kilometres that separate the volcano from the 20 million inhabitants of Mexico City. The “smoking mountain”—the meaning of its name in the Aztec Nahuatl language—lost its last glaciers in 2001 due to the warming caused by the volcanic activity. 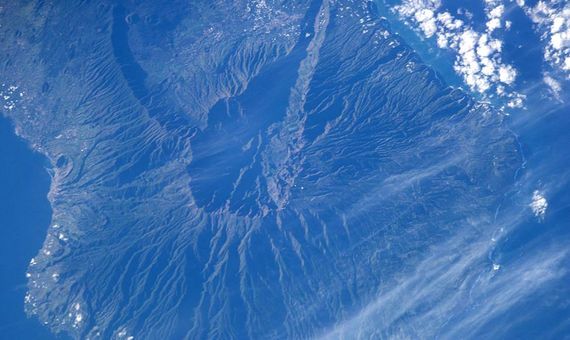 Satellite photo of Caldera de Taburiente and Cumbre Vieja in La Palma. Credit: Analysis Laboratory, NASA Johnson Space Center. The Canary Islands have in their active volcanism one of their great tourist resources, with the addition that the most recent eruptions—such as that of Teneguía on the island of La Palma in 1971 and the underwater eruption of El Hierro in 2011—have not put any human lives in danger. 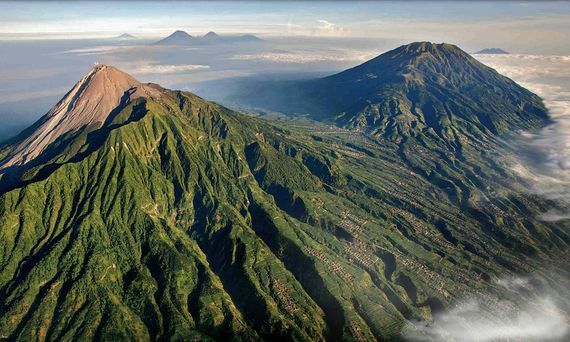 But for years some volcanologists have been worried about the possibility of a massive eruption at the Cumbre Vieja volcano on La Palma—which is actually the same volcano as Teneguía but with a different vent—that could cause the entire face to collapse westward and provoke a mega-tsunami that could cross the Atlantic and devastate the American east coast. However, it is a controversial hypothetical scenario that other experts consider highly unlikely.